All our professionals at Podiatry and Ankle Care maintain the highest levels of accreditation and pursue ongoing education to stay abreast of the latest trends in podiatry. 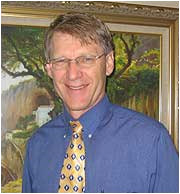 Dr. Steven Shoemaker, in private practice since 2002, selected podiatry as his professional career in order to provide specialized expert care to the large number of people who will suffer from a foot problem sometime in their lives. In order to prepare for such needs, after college he pursued his medical education which involved four years of study at California College of Podiatric Medicine where he received his Doctor of Podiatric Medicine degree in 1987, graduating Pi Delta. Dr. Shoemaker continued his specialty training as a podiatric surgical resident at Fountain Valley Regional Hospital and Trauma Center and also at Kaiser Vallejo Hospital in foot and ankle reconstructive surgery in adults and children. 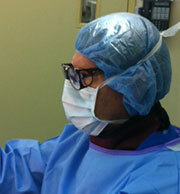 The doctor is certified as a Diplomate of the American Board of Podiatric Surgery. 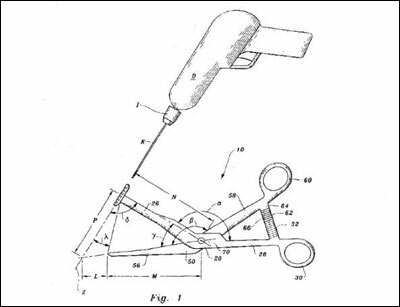 Dr Shoemakers Patent for an instrument he has invented for surgical procedures.